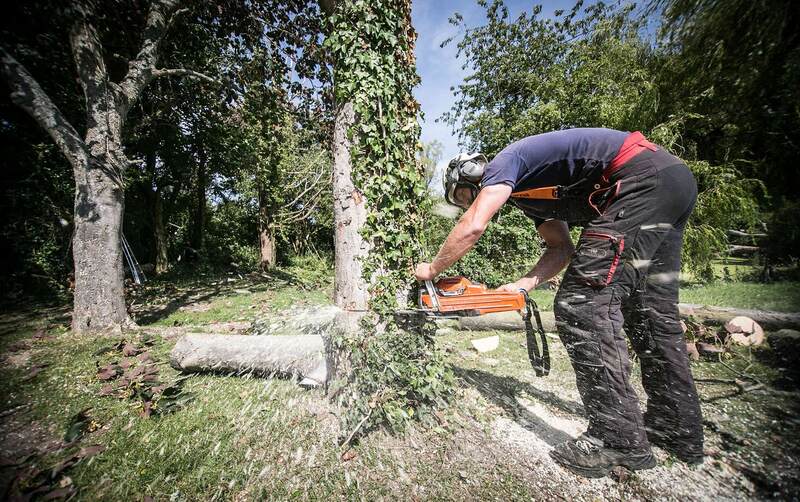 Your local tree surgeons and emergency services for over 10 years! 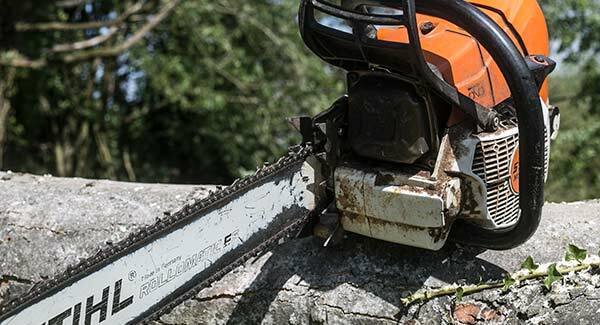 Stephen Bacon Tree Surgeons are fully qualified and insured arborists with over 30 years of experience throughout the team. They deliver a highly professional and competitive service for their clients in and around Chichester and West Sussex. Will it save money doing it yourself? Probably not – by the time you buy the tools, take the time off work, hire a suitable ladder and then possibly cause damage to the tree, it will more likely cost more than we quoted. Oh, plus we dispose of all the debris which can amount to a big pile of wood and leaves. All of our team are fully certified which guarantees you a professional service. From the initial project to any ongoing maintenance we are on hand to help you. 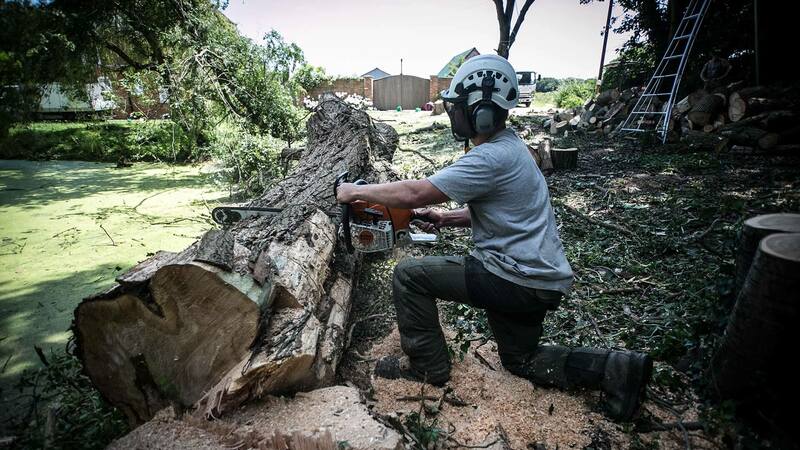 Employing a tree surgeon is no different than any other tradesman. 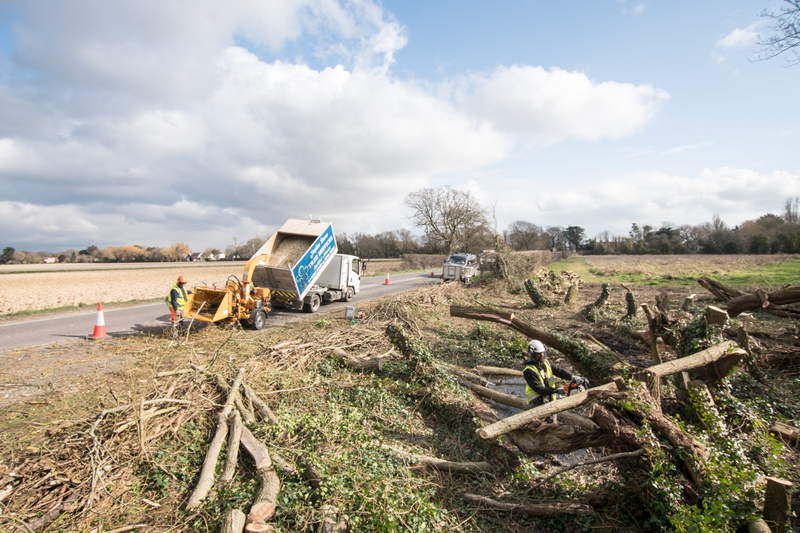 We arrive on site with all the tools we need to get the job done along with a van and woodchipper so we can get rid of the waste. The job will be completed and your garden tidied so you can settle back and enjoy.